Everyone loves to travel and see the world, but places on our bucket lists aren’t always easy to explore. There are considerations and potential worries about everywhere we visit from the small “Will I like the food?” to the bigger “Is it safe to visit there at the moment?”. 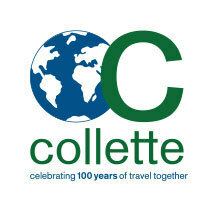 Travel company Collette Tours are interested to find out if there are any places you’d love to travel but haven’t, and what are the things that have put you off doing so. So what’s worried you about places you’ve always wanted to go to? Have you always wanted to explore Japan but worry about the language barrier? Perhaps you dream of travelling around different countries but aren’t sure how to start planning? Maybe seeing the Taj Mahal is on your bucket list but you’re not sure you’ll be able to manage well in the heat? Or you’d love to watch the sunrise over Machu Picchu but there’s a difficult hike to get there? Whatever destinations you’d love to go to but there’s something that’s stopped you, please share them below and you will be entered into a prize draw to win a £300 voucher of your choice (from a list). I have a foster son who, some years ago, returned to live in Taiwan after spending eleven years in the UK. I was his legal guardian during his time here and he's very much part of our family (my children regard him as their brother and he lists me as his mother on his Facebook page). I would love to visit him and spend time in his country, but the cost is prohibitive. Fortunately he has been able to visit us every year since he left except for last year - and I have literally just had a message to say he's coming home to see us next week. Yippee! Lets put it this way, the countries I would like to visit are Yemen, Egypt and Syria. I too would love to visit Egypt. Since I was a little girl I have had a fascination with the Pharoahs of Ancient Egypt, the Pyramids etc. I wouldn't travel there in these unsettled times either. The Holy Land is another destination that I wouldn't go to. It is sad that these places are so dangerous to tourists. Lack of clear accessible information re wheelchair access for travellers, both during journeys and accommodation. I have to make direct contact asking for suitability. Always have to ask for info re special needs. Fed up being special ! The only barrier I have to travelling is the safety of the country I'm visiting. "So what’s worried you about places you’ve always wanted to go to?" Mainly I don't wanna ruin the planet for my children/grandchildren just so I get to see it for entertainment. That is stopping me particularly when it comes to long haul - the eco footprint. India has always intrigued me. However, I'm daunted by the thought of the heat and the sheer size of the country. I wouldn't know where best to go and where might be safest from a personal safety point of view but also to do with possibility of illness etc. India? Where to start?! We loved Egypt for the great snorkelling in the Red Sea but no longer feel it's safe to visit. There are many places we would like to go to but find limited flights from the Scottish airports and it's such a nuisance being forced down to England and coming home again (usually from Manchester) is just dreadful after a long haul flight. In saying that, finding decently times flights even to Europe is well nigh impossible sometimes ... the airlines seem to think we all like to travel in the middle of the night!!! I would love to travel to Southern Ireland but my husband won't go. He went as a young man and loved it but felt very uneasy with the troubled times they then had and sadly it's marred his view to return. I’d love to visit New Zealand but flying Economy Class all that distance makes me feel queasy! I can’t sleep in cramped seats and it’s hard to read in dim light while everyone else appears to be sleeping. If there was more leg room, I’d go in a shot, but Business and First Class travel prices are way beyond my budget. The only barrier I have to travelling is the cost - I just cannot afford it and believe that travel is for the rich! I’ve been working my way through my bucket list but had to cancel a trip to South Africa last year as my heart rate went stupidly high. Meds sent it too low & doctor said I had to cancel 😢. (Just 2 days before I was due to fly) Fortunately insured. I'm up for travelling to most places except the obviously dangerous ones, of which there are quite a few (just back from Oceania, so no problem there) but I just don't want to do it alone. I need to share the experience with someone, to be able to discuss the day's events, to say 'Look, isn't that bloody amazing!' or 'How about a drink' or 'Let's climb that tower'. A temporary husband/travel partner type person would do nicely. How about a travel partner agency? I would love to visit Egypt and see the pyramids. Alas with the uncertainty over there regarding tourist attacks I fear I may never realise my dream. A combination of time/money have affected travel decisions. As lovely as destination weddings are, it meant our travel budget for the year were planned for places we may not have chosen on our own! I would love to visit China, the poet Philip Larkin said the same, with the caveat of ‘if I could get there and back again in a day!’ I don’t think I would be so time limiting, but it’s such a long way to travel, and these days I am more of an armchair traveller anyway, if it’s outside Europe. The language barrier is off putting too, and the feeling that I may give offence as customs are so different. What fantastic scenery there, and The Great Wall, Jade Palace, terracotta warriers etc, so much to see. Start with the Golden Triangle and add on Shiela if you can. It’s a wonderful experience. Lack of a travelling companion. I'd like to go to Orkney, Cornwall and the West of Ireland. And, oddly, Dungeness, I'm not sure why! It is the cost and temperature for me that is the problem. Cannot say where as there are so many destinations that i would like to tick off. Elrel Oh, do go to Dungeness! We love it there. We have wonderful walks in the nature reserve there and it's close to Rye. No matter if you do sport a green glow afterwards. Orkney - again, love the place. Went a few years back and going again this year fingers crossed. Cornwall is beautiful, especially the west where it's wilder. Avoid high summer, obv. I'd love to visit Egypt but many people we know who have been report getting terrible gastroenteritis which is a big fear of mine, sooooo...... sigh...but I'd love to see the pyramids! Also China, but OH won't fly so we travel everywhere by train. So much to see in Europe meanwhile, so I'll be dead long before my wannasee list runs out - Puglia, more of Sicily, Malta, Southern Spain, Budapest, Bucharest, Denmark, Northern Germany where my father's family stayed in the summer as children, Vienna, Munich....also Fair Isle and Muckleflugga. I should have added: it's cost that stops us travelling more often. Love trains, but it is exhausting! Scared of visiting places like India because of safety issues on trains, plus the risk of illness (perceived!) Oooooh, and there's the Galapagos Islands but we couldn't go there because of OH's flying phobia. Also we probably couldn't afford it: holidays for us must be affordable rather than a total blow-out. I yearn to visit anywhere with a volcano, but OH won't go.